A report commissioned by a prominent Florida Republican isn’t taking the usual GOP line on the Obama administration’s stimulus package. 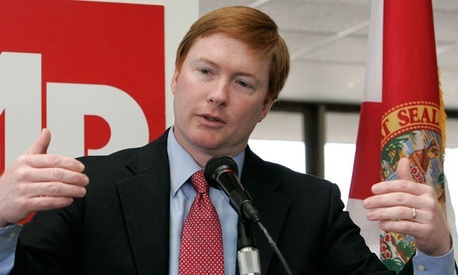 A newly-released audit from the office of Republican Florida Agriculture Commissioner Adam Putnam, a Mitt Romney supporter and former member of the U.S. House Republican leadership, says that the 2009 stimulus bill did benefit the state of Florida. “Based on reports received by the [Office of Energy], the State of Florida has benefited from the investment of [American Recovery and Reinvestment Act] funds,” the report says, pointing to jobs created and retained as well as energy cost savings through the distribution of stimulus funds. The report was undertaken to see how well Florida’s Office of Energy was implementing energy programs, grants, and other activities, and comes out just in advance of the festivities in Tampa for the Republican National Convention. The finding that a Florida Republican was conceding the benefits of the stimulus program was first reported by Media Trackers, a conservative nonprofit watchdog group in Florida. Putnam served in the House from 2001 to 2011 and rose to become House Republican Conference chairman, the third-ranking GOP leadership post. Although he was considered a rising star in the party, he resigned from that post after Republican losses in the 2008 elections, saying the highly partisan nature of the job made it difficult to work with Democrats. Putnam also serves on the Farmers and Ranchers for Romney coalition and is host of the Florida delegation’s daily breakfast meetings during the RNC.